Two weeks ago, and as part of an ongoing series about transport planning, investment and outcomes, I wrote about the road toll . As I noted in my previous article , the fatality rate (deaths per kilometre driven across New Zealand) of car occupants is 41% higher in 2017 than it was in 2013. 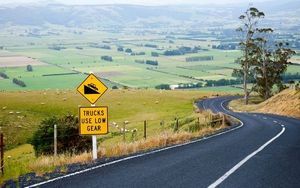 In interviews about the road toll, the NZ Transport Agency has talked up the safety benefits of the Roads of National Significance. However, as I noted in my previous article , these seven roads are relatively lightly travelled compared to the average $1.6 billion each cost. And $1.6 billion could buy a lot of road median barriers and road safety ads.